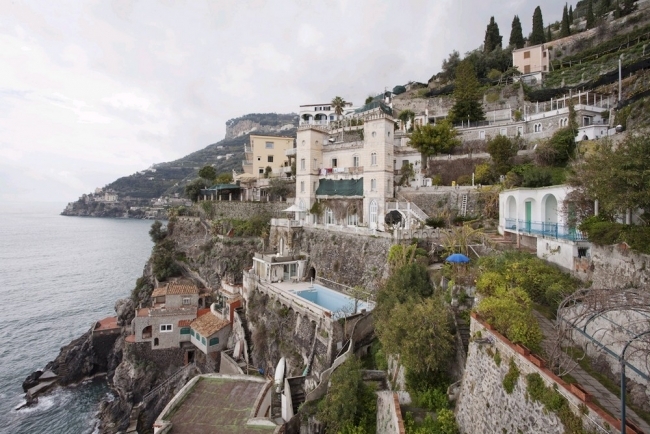 Minori is a small town on the Amalfi Coast between Amalfi (4 km) and Salerno (20 km). 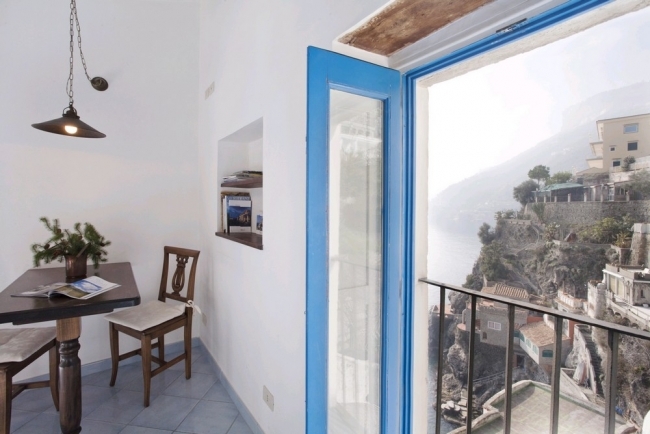 Torre Paradiso is on the Amalfi Coast road (Amalfitana/SS 163). 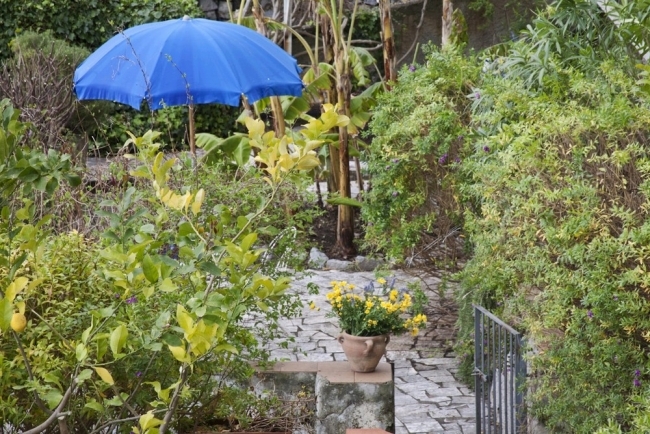 Beach lovers will not be disappointed with Minori and Maiori’s famous sandy beaches. There are also lots of creeks nearby that are great for swimming. 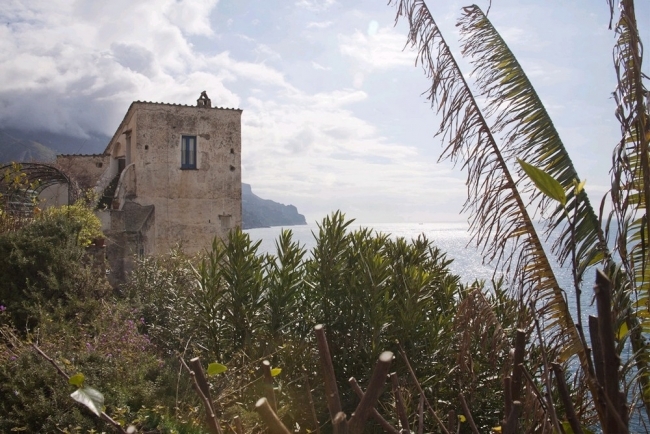 Culture buffs should check out Ravello, Amalfi, and the ruins of the Roman Villa in Minori. 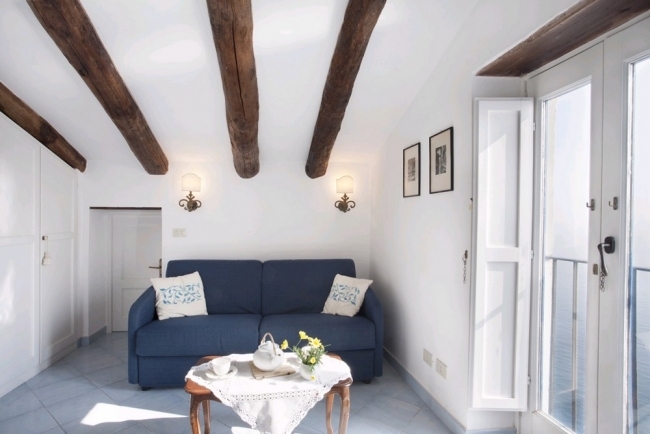 To fully enjoy this piece of paradise between azure skies and blue water, head down one of the many hiking trails or hop aboard one of the ferries that run along the coast between Salerno and Naples with stops in Capri. 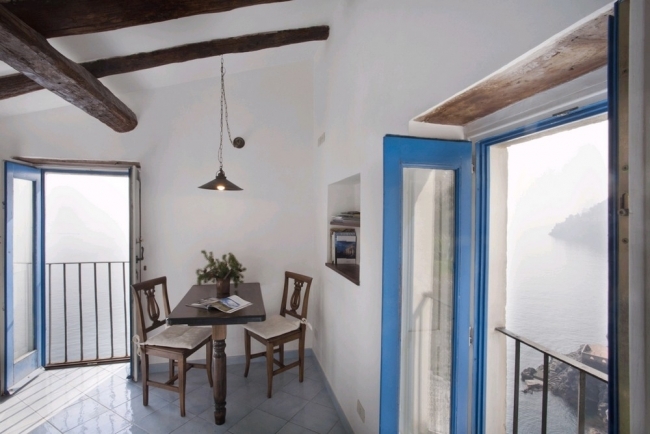 The apartment (25 m²) is on the top floor of a renovated medieval house, Torre Paradiso. 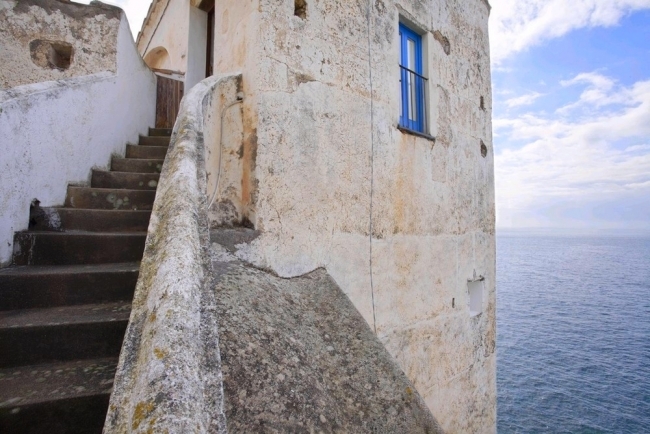 The tower is one of many in the area that was built to watch over the coastline. 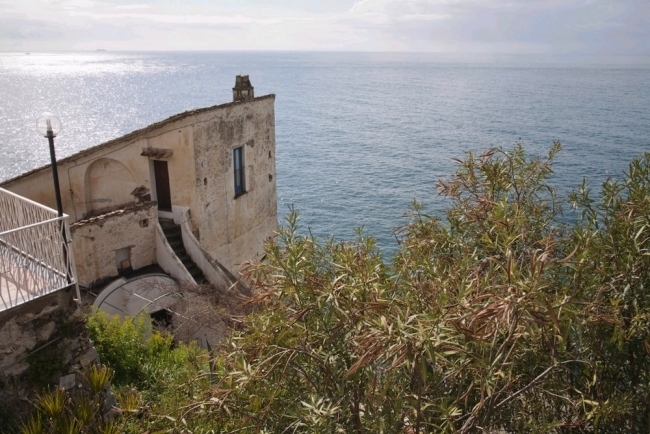 Built into a cliff, the three-storey house commands a stunning view of the town, surrounding hills, and coastline. 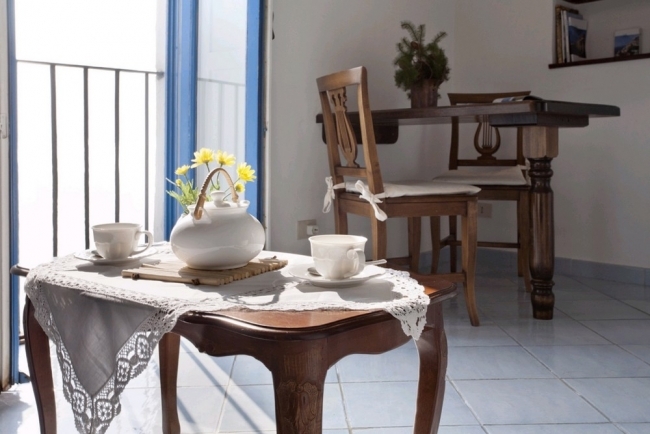 The apartment’s location and spacious rooms ensure complete comfort and relaxation. 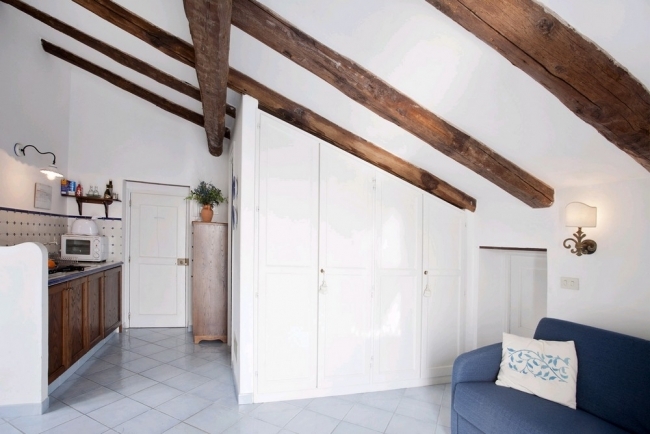 Exposed ceiling beams and tiled floors add to the apartment’s charm. You have to climb a set of stairs (outdoors) to get to the studio. - The living area (southwest facing) ceiling is sloped (min. ceiling height: 1.6 m; max. ceiling height: 3.2 m). 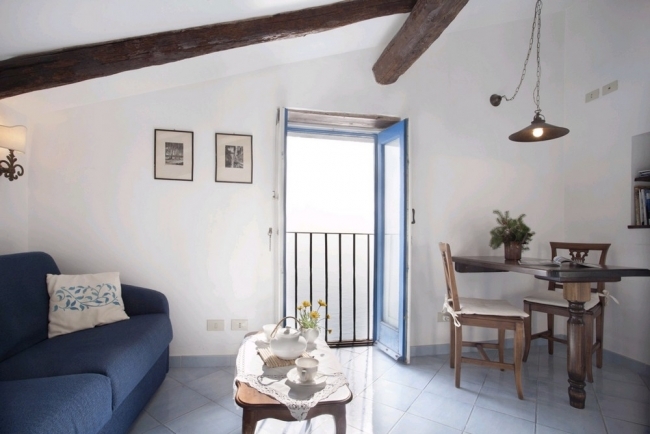 The room is furnished with a table and two chairs, a sofa-bed, and a coffee table. There is a storage closet and two sets of French doors that open onto the sea. 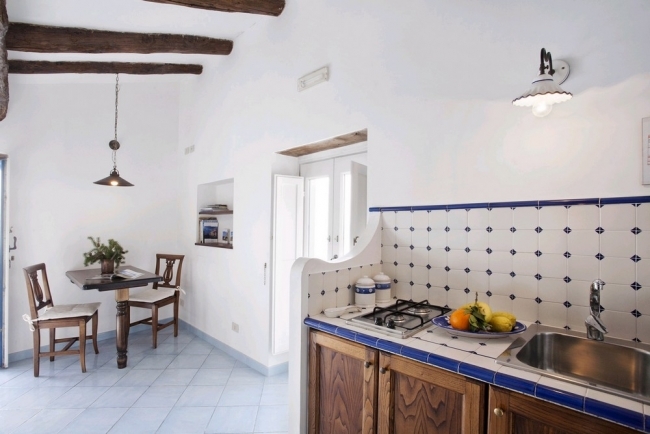 - The kitchenette is closer to the front door and is equipped with a gas stove, a toaster oven, and a fridge. 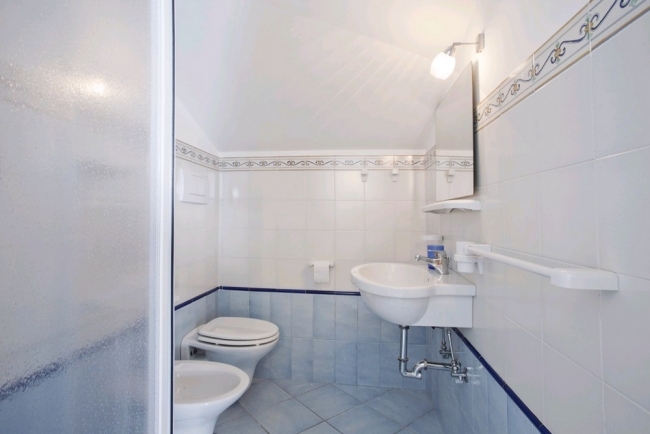 There is a shower, sink, bidet, and toilet in the bathroom (3 m²), which also has a sloped ceiling (min. ceiling height: 1.05 m; max. ceiling height: 1.7 m). 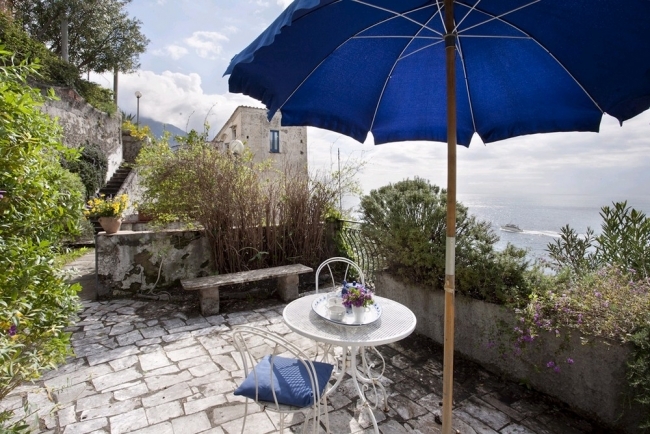 A table and two chairs are set up under a parasol in the garden (50 m² - south facing). There is a set of stairs leading to the house (approx. 70 stairs). The house is divided into two sections—the first being that described above and the second being the two lower levels—so you may be required to share the garden with the guests who are staying downstairs. 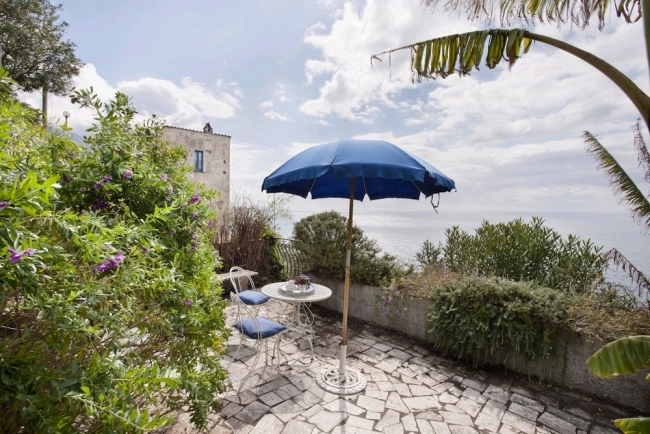 You do however have a private table and chairs under a pergola with a view of the sea. Alibus: departs every 30 minutes, 6 a.m. to 11 p.m.
SITA: departs at 10 a.m., 2:15 p.m., 4:15 p.m., and 5:30 p.m.
- Drive through the town of Angri, and turn right towards Costiera Amalfitana - Tramonti after the cemetery on your left. When you reach Via Valico di Chiunzi, head towards Maiori. Drive through the town and turn right. 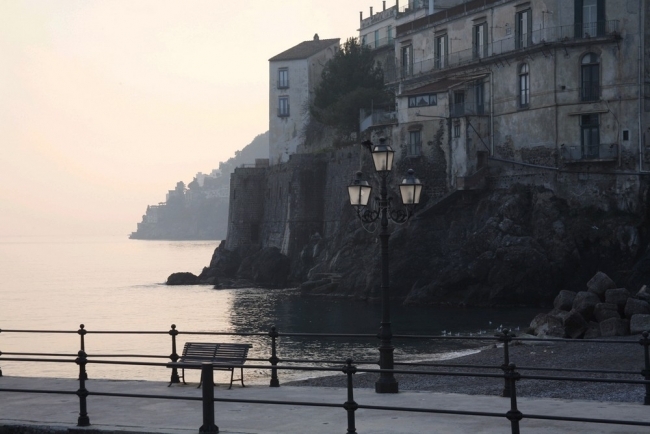 - Follow the SS163 towards Amalfi. Minori will be in 1 km. Bus tickets can be purchased from the ticket machine at the SITA bus stop. For more information: visit www.sitabus.it/wps/portal/OrariCampania.